WE INVITE YOU TO EXPERIENCE JUDAISM ON A NEW LEVEL. 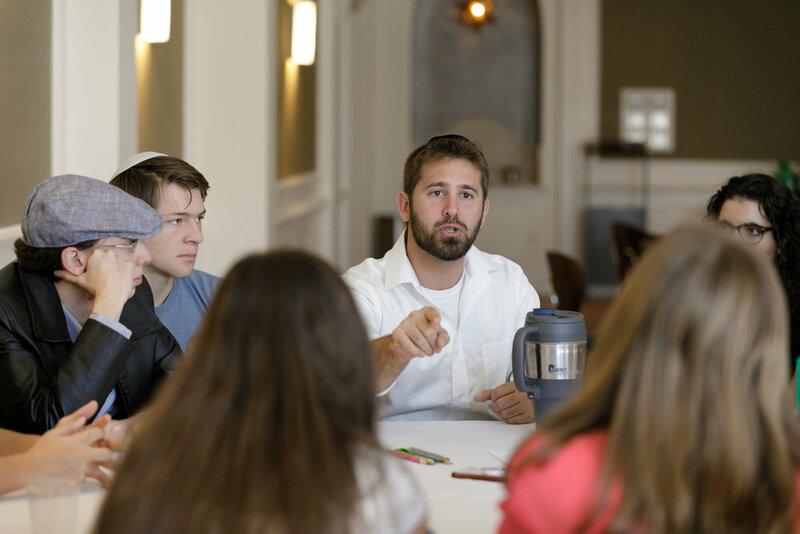 Eugene & Ethel Joffe Maimonides Leadership Institute is designed for young adults in the Palm Beach community, grades 8–12, to study and explore religious, spiritual and ethical Jewish values. This tuition-free program allows the students to be awarded merit compensation for their studies. More than an academic exercise, the experience contributes profoundly to the students’ identity as Jews. The Solomon Leadership Program was established to teach and instill the traits, skills and values that are common to successful leaders in all fields, including business, education, medicine, law and government. The program is informed both by moral values and the significant leadership experiences of the mentors. Participants in the program join in an exchange of ideas that will lead to moral growth, tolerance and an increased focus on achieving personal goals and giving back to the community. The mission of the William Langfan Teens for Israel Advocacy Training Program is to educate students in grades 10–12 about current political developments in the Middle East and the image of Israel in the world arena, thereby equipping students to respond to the dissemination of inaccurate information and anti-Israel propaganda on college campuses and in the media. Participants will meet periodically in seminars to enrich their knowledge of the region and its historical development. Experience Shabbat in a global way! Each Shabbat dinner takes us to another country and culture. Meet the locals by experiencing their traditions and savor the different cuisines. No matter where the Shabbat takes us, we always have an abundance of lively song, moving and thought-provoking words of Torah and fun socializing with friends! Kick back on a Thursday night with Rabbis Yosef and Manu for a coffee, conversation and some words of inspiration. You will find yourself looking forward to these hangouts all week. All teens welcome! First developed by the Israeli army back in the 1940s, Krav Maga is a form of self-defense that is widely practiced today all over the world. Join other Jewish middle schoolers for this incredible opportunity! The physical training is great exercise and stress reliever. Since its inception, Project Connect has been a successful and meaningful program for our dear participants and our dedicated teen volunteers. Therefore Project Connect has expanded to nursing homes, hospitals and homeless shelters. The positive impact of Project Connect is not only experienced by those our teens are bringing cheer to, but by our volunteers as well.